Marriage is hard work. It’s no forty or fifty hour work week but 168 hours each week, 365 days each year, “till death do us part.” There are no days off or vacation or sick leave. But hard work doesn’t mean misery or joylessness or drudgery. By hard work, I mean that marriage demands that we pay attention to details in the marital relationship, that we learn to serve our spouse sacrificially, and that we give ourselves to those elements that would build up, strengthen, and improve marriage. But some don’t want to work at marriage. They utter their vows with fingers crossed or a parachute on their back. They have no intention of doing what it takes to have a marriage that reflects Jesus Christ and His Bride (Ephesians 5). Yet, it is quite telling that when Paul describes the relationship that Jesus has to the Church as His Bride, he weaves the story and instruction concerning marriage for all to see. What he leaves us is this: marriage is not about you; it’s not about getting your way; it’s about Jesus Christ glorified through a sinful man and sinful woman, redeemed by His bloody death, indwelled by His Spirit, and living together as followers of Christ. So what should that kind of life look like? Let’s think about nine elements of a Christ-centered marriage. 1. A Christ-centered marriage involves mutual devotion to Jesus Christ. In other words, a couple can marry, work hard at their relationship, learn to serve each other, and end up having a pretty good relationship. But that’s not Christ-centered. To take the name of “Christ” as the adjective that gives definition and power to “centered,” we mean that He is the Sun around which the husband and wife orbit. Their whole universe finds its existence and purpose in relationship to Jesus Christ. Practically, that means that husband and wife seek to grow together in their Christian walks. They help each other out in rough times or those occasions when the strain of parenting or employment or school or extended family messes make consistency difficult. They truly act as iron sharpening iron with each other. 2. A Christ-centered marriage is characterized by serving one another. No one gave a more gripping picture of service than Jesus Christ, knowing that He was God Incarnate heading back to the Father via the cross and the tomb, and yet He stooped to wash His disciples feet before the Last Supper (John 13). No wonder Peter objected! He felt his unworthiness to have his dirty feet washed by Jesus, yet Jesus persisted. Marriage is the laboratory of Christ-reflecting service. Selfishness, laziness, and lethargy kill marriages. Humble service evidences true love for one’s spouse. 3. A Christ-centered marriage practices humility. Jesus declared, “For I am gentle and humble in heart” (Matt 11:29). Humility lives life with the cross in view. Instead of wrapping everything around satisfying one’s desires, humility yields to the other in marriage, listens intently instead of interrupting conversation, looks for ways to serve, and quickly moves to forgive when offended. 4. A Christ-centered marriage practices forgiveness. With two sinners, redeemed though they are, joined in marriage, there will be times when words, attitudes, actions, silence, and cross looks offend. If a grudge is allowed to fester, the marriage cannot go forward. It just won’t! If we’re told in the body of Christ to be kind, tenderhearted, and forgiving to one another, how much more in marriage (Eph 4:32)! 5. A Christ-centered marriage is lived in sacrificial love. That’s the pattern that Jesus established when He gave Himself for the Church in sacrificial death (Eph 5:25). But it’s not simply a matter of laying down one’s life for his wife. Some guys are willing to die for their wives but not live selflessly toward them. Sacrificial love aims toward what is best for our spouse. Jesus’ sacrificial love aimed toward presenting the church to Himself “in all her glory, having no spot or wrinkle or any such thing” (Eph 5:27). Go and do likewise. 6. A Christ-centered marriage communicates. The Apostle John emphasized Christians fellowshipping with Christ as well as with one another (1 John 1:3). Fellowship or sharing life together, involves communication. And communication involves two-listeners and two-speakers engaged in life together. Let’s face it; most guys fail miserably at communicating, as though there is something unmanly about speaking tenderly and lovingly with their wives. Instead, there’s something more manly about a man that learns to listen to and talk with his wife, and that makes time for that kind of sweet fellowship and communication. So guys, act like real men! 7. A Christ-centered marriage grows in intimacy. Don’t we do that with Christ? We seek to grow in the grace and knowledge of Jesus Christ. Paul’s prayer for the Ephesian Church is one of growing intimacy with Jesus (Eph 5:14–19). God has given conjugal intimacy for marriage alone (Gen 2:24; Heb 13:4). Jesus is no less glorified by our growth in marital intimacy than He is by our serving one another. 8. A Christ-centered marriage is lived together in the hope of Christ. Instead of centering everything on kids, houses, cars, careers, vacations, and bank accounts, when we’re tethered to Christ our buoyant hope is fixed on Him and His promises. We may be disappointed with how our kids live or at the loss of a job or a slim bank account. But we will never be disappointed in Him (Rom 10:11; 1 John 3:3). His hope sustains us even in the most trying times. God has so designed and unfolded His mysterious will so that we might know “Christ in you, the hope of glory” (Col 1:24–27). Together, husband and wife learn to cherish their hope in Christ more than all the temporal things of life. 9. A Christ-centered marriage is church-engaged. If Christ died to save the church (Acts 20:28), then a Christ-centered marriage cannot treat the church as a marginal part of their lives. We need the church to hold us accountable, to help nurture us in Christ, to unite us with one another in loving service, to develop our gifts and ministries, to worship together, to learn to live sacrificially together, to sharpen our understanding of life and godliness, and to prepare us for seeing Christ. Since the church tops marriage in God’s economy (we’re not told that Jesus died for marriage), then we must engage together as husband and wife with the body of Christ. You might add a few more elements that could accompany a Christ-centered marriage. The nine that I’ve noted do not happen with the flip of a switch. They demand hard work, living in the gospel, reliance upon the Spirit, and the passionate desire to glorify Jesus Christ in all things—especially marriage. Let’s find deepening satisfaction in marriage by Jesus Christ as its center. Phil A. Newton planted South Woods Baptist Church in Memphis, Tennessee in 1987 and continues to serve as senior pastor of that congregation. He previously pastored churches in Mississippi and Alabama. He received his education at the University of Mobile (B.A. ), New Orleans Baptist Theological Seminary (M.Div. ), Fuller Theological Seminary (D.Min. ), and Southeastern Baptist Theological Seminary (Ph.D.). Phil and his wife Karen married in 1975, and have five children and seven grandchildren. 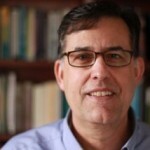 He is the author of Elders in Congregational Life: Rediscovering the Biblical Model for Church Leadership (Kregel, 2005); Conduct Gospel-Centered Funerals: Applying the Gospel at the Unique Challenges of Death (with Brian Croft; DayOne, 2011); Venture All for God: Piety in the Writings of John Bunyan (with Roger Duke and Drew Harris; Reformation Heritage, 2011); Elders in the Church (with Matt Schmucker; Kregel, forthcoming); The Way of Faith (Founders Press, 2002). In addition to publishing essays in a number of journals, he has also contributed chapters to Reforming Pastoral Ministry (John Armstrong, ed. ); Dear Timothy (Tom Ascol, ed. ); Ministry By His Grace and For His Glory: Essays in Honor of Thomas J. Nettles (Tom Ascol and Nathan Finn, eds. ); and Reclaiming the Gospel and Reforming Churches (Tom Ascol, ed.). Phil is an adjunct professor at Southeastern Baptist Theological Seminary through their EQUIP Center Network. He loves to train young men for ministry and to involve his congregation in global missions.